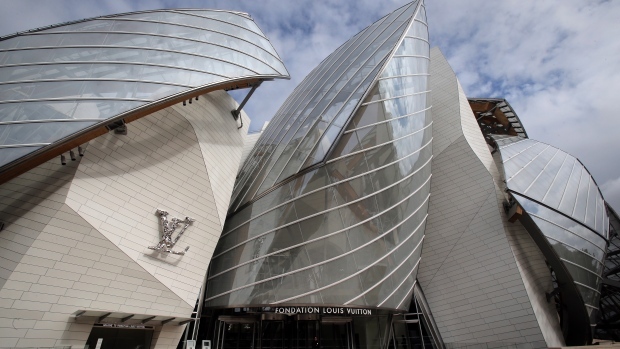 PARIS — Architect Frank Gehry opened his latest project on Friday, the more than $126 million Louis Vuitton Foundation in Paris, which has bowled over critics. Glistening in the morning sun in west of the city, with billowing glass casing and white concrete panels, the nearly 12,000 square meter building resembles an iceberg. Gehry used the occasion to show the building to the media; it will officially open to the public at the end of October with a special exhibit dedicated to him. The structure was commissioned to house the art collection of billionaire Bernard Arnault, the CEO of the world’s biggest luxury group, LVMH, Louis Vuitton’s parent company. It also will be used as an art gallery with some 11 display spaces of different sizes. Decorated with “L’s” and “V’s,” the building has been branded by some as a “vanity project” of tycoon Arnault, Europe’s richest man. But for Gehry it’s about the art. “The idea for me became of a building that had movement, sails,” he told The Associated Press. He said the bare, unfinished-looking nature of the glass atriums, like a blank canvas, was designed to encourage other artists to “intervene” and use the space in the future. He said contemporary artist Daniel Buren plans to paint on the structure. 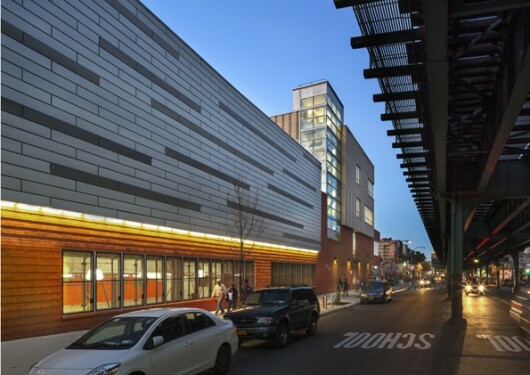 An award-winning American architect has proposed transforming some of the city’s municipal services buildings and refuse collection points into multistorey recycling and community centres. 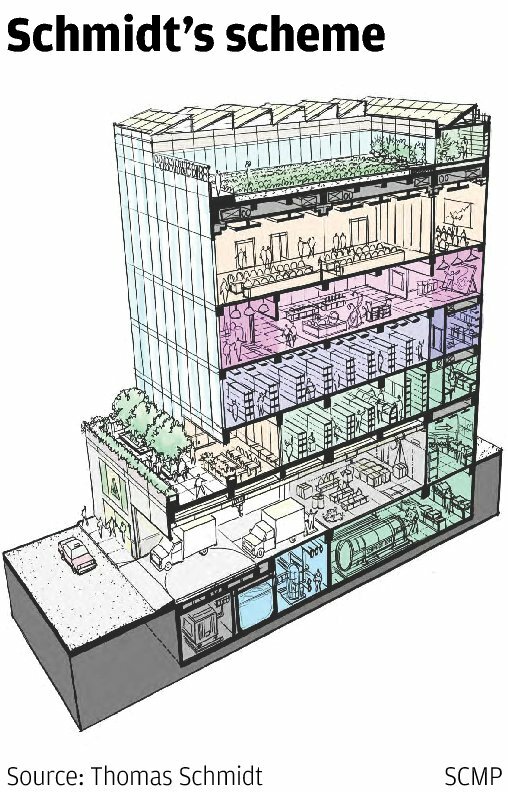 Thomas Schmidt, a founding member of the American Institute of Architects Hong Kong, has drawn up a conceptual plan of a low-rise complex that could serve as the focal point of collection and handling of waste generated from a neighbourhood. The buildings, of up to six floors, would house recycling, community, leisure and educational activities under one roof. Schmidt came up with the scheme as the saga over funding for the extension of landfills and an incineration plant continues in the legislature.